At Holiday Acres, the price of your tree includes a fun time for your family at no additional charge. We'll take you on a hayride to look for your tree, treat you to a complimentary cup of hot chocolate or mulled cider, provide a cozy campfire for you to sit by and a fun natural playground for the kids. We'll also shake the loose needles out of your tree, bale it in netting, and help you secure it to your car. This is all included in the price of your tree. Tree prices are subject to change. Please verify prices and availability here before coming out to the farm. 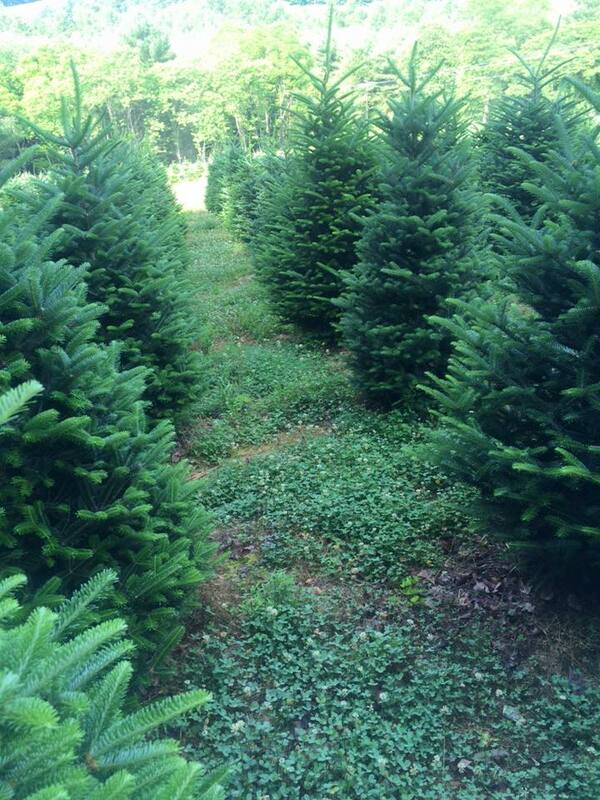 Supply of larger trees in the choose & cut field is limited. If you are looking for a large tree, we do have some big beautiful pre-cut Fraser firs! You can still ride the hayride, enjoy the Christmas tree fields, drink cocoa by the fire pit, then take home a tree that’s the size you are hoping for. Do not cut trees smaller than 5 ft. tall. Do not cut baby trees! *Supply of trees in these sizes is very limited. Most trees in the tree field are 5’ & 6’ tall. Shipped in refrigerated trucks and put in water on arrival at the farm. Fresh fir candle rings (candle not included) - LED candles or candles in a glass chimney are recommended for use with fresh candle rings. If you would like a wreath custom designed for you, or if you'd like us to make changes to a decorated wreath, please visit the wreath barn and place your order before heading out to the tree field.